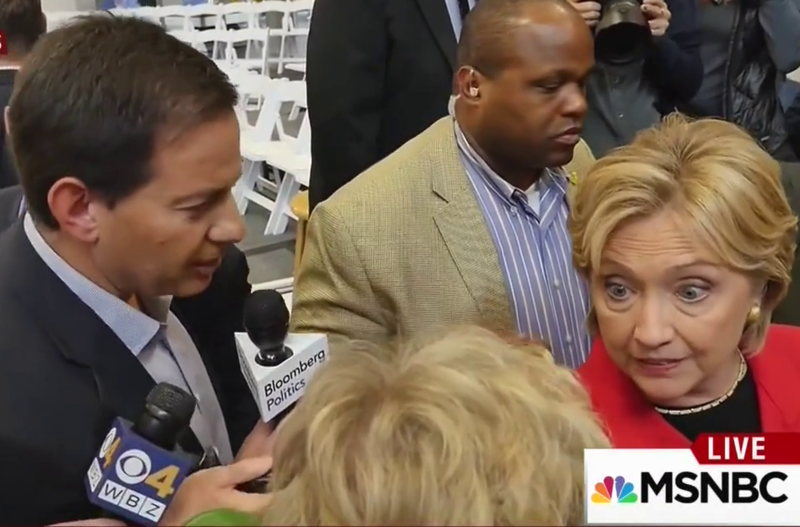 Hillary Clinton was so steadfast in ignoring questions from Bloomberg Politics’ Mark Halperin during an event Monday, he was forced to recruit a non-reporter to ask the question for him. In the video of the moment, which played on MSNBC’s Morning Joe Tuesday morning, Clinton ignored Halperin despite him loudly asking the same question over and over again. “A reporter she’s known for almost a quarter century standing inches away from her asks her questions and she pretends she can’t hear her?” he narrates. Eventually Halperin gave up and got an everyday voter to go up and ask the exact same question for him. “What’s your message to the NRA?” the woman asked. “You won, I won and Hillary Clinton won,” Halperin concluded. Watch above, via Bloomberg Politics.